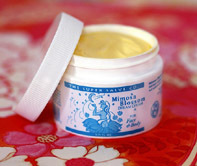 Application : Great day time moisturizer. Very Light! With its luxurious sandalwood/lemongrass fragrance & ability to absorb quickly, it will soon become your favorite day cream. 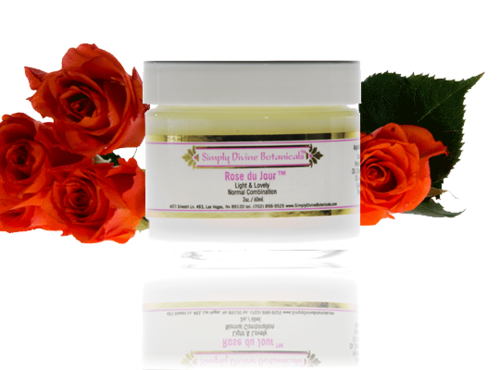 A great companion to CREME DE ROSE which is heavenly in the evening. Same formula as our body butters with the addition of Arctic Ice glitter & fragranced with a blend of Lemongrass, Lavender & Clary Sage. 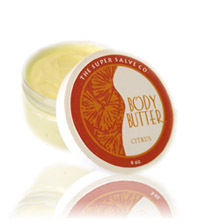 Our body butters have the smooth thickened texture of butter ~ melting upon contact with the skin. 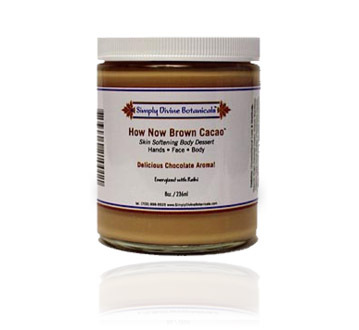 This formulation features the most effective ingredients for smooth caress-able skin. 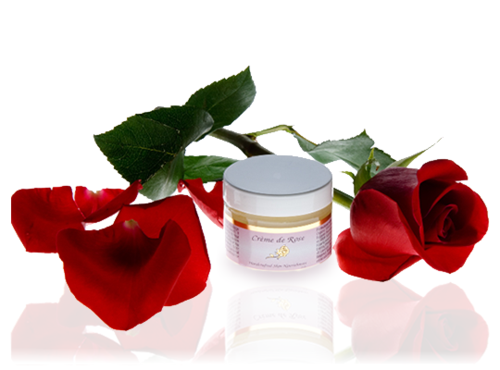 Rich moisturizer delivering high potency antioxidants into skin cells. Helpful in reducing fine lines, wrinkles, under eye puffiness & enlarged pores. Beautifying nutrients delicately scented with dreamy flower essences blended to improve tone, vitality & radiance for a healthy complexion. 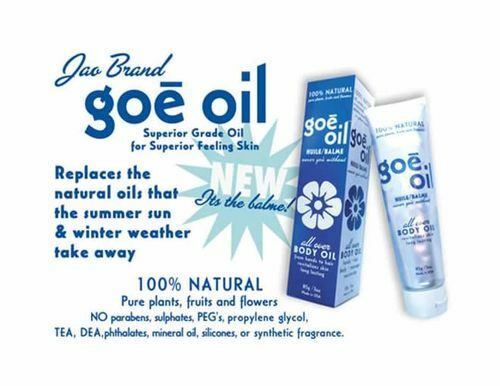 Jao Goe Oil is a combination of 28 plant fruits, flower oils & butters. Lightly scented with Monoi from Tahiti. 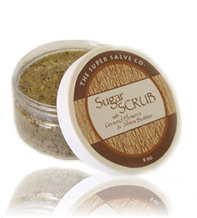 Goes into the skin quickly leaving it incredibly smooth. 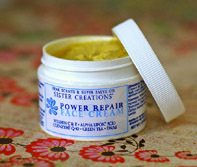 Lighter than typical body butter, longer lasting than a moisturizer. A high percentage of Jojoba oil (technically not an oil); it’s a polyunsaturated liquid wax similar to sebum. Sebum is secreted by the human sebaceous glands to lubricate & protect skin & hair. Jojoba oil can be used to replicate sebum oil. 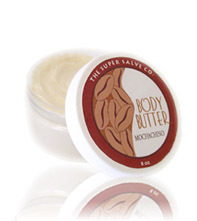 Our light, silky smooth cream-y soaks into your skin fast. Get a tropical sensation. Like coconut? 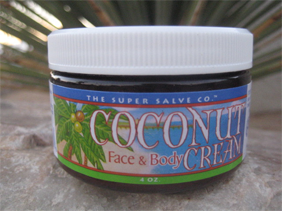 This cream is designed for you!